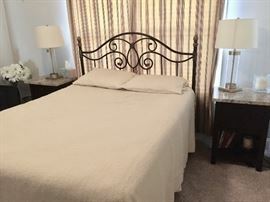 AddressThe address for this sale in Winder, GA 30680 will be available after 9:00am on Wednesday, April 24th, 2019. * All items are sold “AS IS, WHERE IS” without warranty or guarantees of any type. * Visa, MC, Discover, Amex and Cash accepted...(a 3.5% convenience charge will be added to all charge transactions)! Fabulous leather sectional with electric lounge chair end. 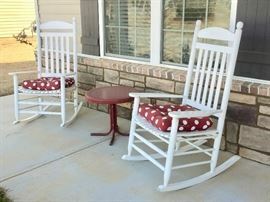 115 x 87 x 45"
Comfortable wood rockers welcome all to the front porch. 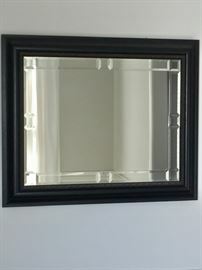 Original Oil with beautiful colors - 54 x 41"
Beveled mirror with Prairie motif. 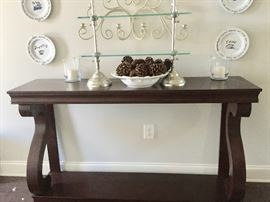 Lovely entry or library table with mahogany finish. 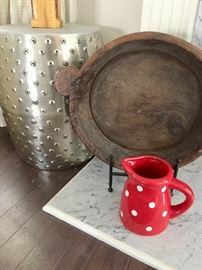 58 x 43 x 14"
Fun silver Chinese garden seat looks lovely paired with rustic cooking pot and bright polka-dot pitcher. 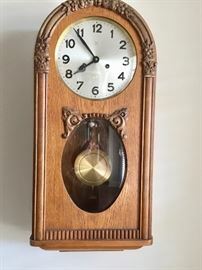 German wood case wall clock with time and strike. 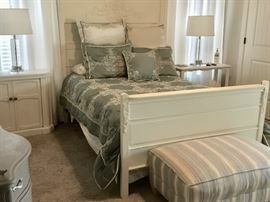 Gorgeous carved oak bed (full) with coordinating side tables and lamps. Striped ottoman. 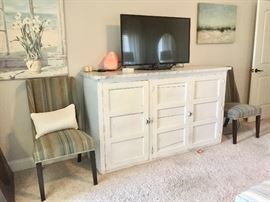 Marble-topped antique cabinet creates a beautiful dresser in the master bedroom. 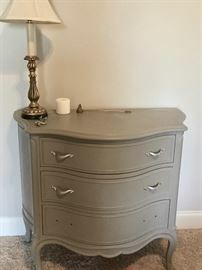 Painted antique small dresser with table lamp. Marble-topped side tables (2) with modern acrylic lamps. Great silver-colored accent table is topped with a mirror. 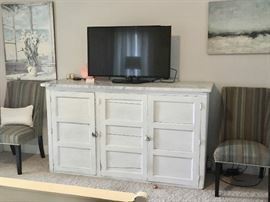 21" Flat Screen Samsung TV adorns a lovely side table. Pair of woven ottomans . . . or maybe cat beds? Upholstered Sherrill Arm Chair with traditional pattern. A little water theme with a great model sloop (35 x 36"), treasure chest, shore-themed art, white side table and lamp. Chic Office Decor and equipment. Super copper In/Out box and bright red office clock accent portable tables, paper shredder, brass desk lamp and office tools. 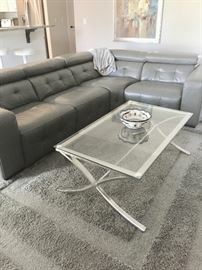 Beautiful 8 x 10' part shag grey rug defines a sitting area. Reproduction framed antique map of Atlanta published by Phillips and Hunt (circa 1880's). 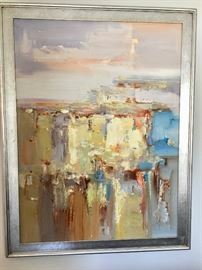 Take a walk on the beach each time you look at this great framed beach scape. Framed "World's Fair" and "Gone With The Wind" Movie Posters. Sterling silver candlesticks frame a calm black and white horse print. Four exquisite Hand-Painted and Signed Quimper French pottery plates. Closeup of one Quimper pottery plates. Whimsical 20th century plates celebrating each decade. Original Oil 25.5 x 21 .5"
Colorful framed Mayfest poster featuring Mime Juggler. Fabulous stemware to decorate any table. Pottery Barn "Caterer's Box" White Dishes - microwave and dishwasher safe. Chic barware - Shaker; Decanters; Martini and Highball Glasses. Left back decanter is heavy Ravenscroft crystal. Complete set of All-Clad cookware. Cabinets are filled with bakeware - all relatively new!